Based in Panama, NordVPN has amassed quite an amazing following in the VPN industry, thanks to its exceptional privacy, remarkable features, and huge database of servers worldwide. 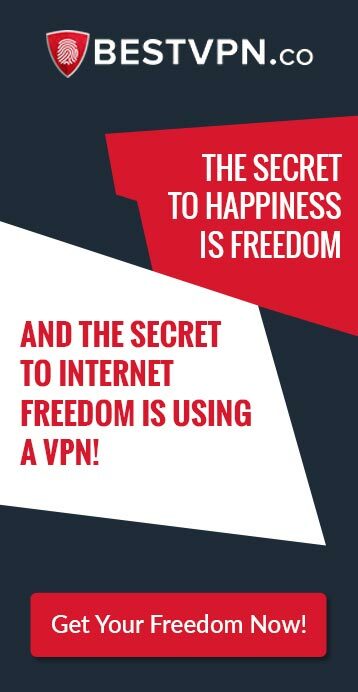 The VPN even offers outstanding compatibility, providing apps for almost all devices/platforms. The only area it lacks in is offering a NordVPN Firestick application, hence why BestVPN.co has put some time into finding a solution to get the VPN on your Fire TV. To learn more about the provider, read this in-depth NordVPN review. Does NordVPN Work on Firestick? Despite being one of the most famous VPN services in the marketplace, NordVPN has not yet released an official app for Firestick/Fire TVs. However, do not feel disappointed as for where there is a problem, you can always find a solution, especially with tech-geeks like us around. BestVPN.co has figured out a way to get the app on your Firestick devices, minus the hassle and stress. You can skip forward to the installation section to figure things out, or continue reading to learn more about whether or not you are making the right decision with NordVPN! Now, we already know that the Amazon Firestick is an amazing device, which is incredibly easy to set up for your entertainment needs. Minutes after unboxing you can immerse yourself in a binge-watching sesh with popcorn and munchies all around. Newer versions make things even easier, as you enjoy the Amazon Alexa integration, and allow your TV to communicate with you. 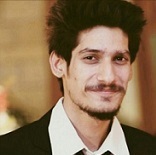 Protection from Irritating/Spammy Adverts – If you use the built-in browser for Firestick, you can probably relate to the huge number of ads, which torment your experience on every website. 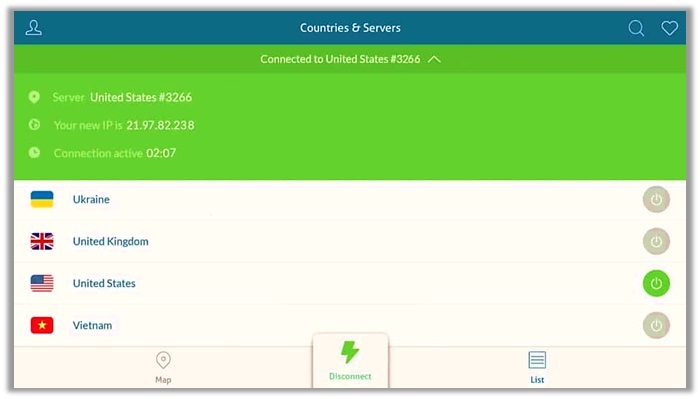 Lucky for you, NordVPN offers the CyberSec Feature. This instantly blocks all irritating pop-ups, auto-play videos, and other spammy content, boosting webpage loading speeds. Security from Phishing, Botnets, and DDoS Attacks – The device you think is least vulnerable always has the highest chances of getting hacked. Bear in mind we have reached a digital era, where even TVs are susceptible to hacks via phony websites. NordVPN gives you maximum security/protection by instant detection of threats, and blocking communication between the TV and control server! Blocks Dangerous Websites Instantly – The CyberSec feature regularly scans website addresses against popular backlists, which keeps you secure from any phony website looking to trick you in purchasing something, or revealing personal information. Not only does this ensure you visit relevant/safe websites, but also protects you from viruses/malware, etc. Exceptional Unblocking/Streaming Capabilities – One of the best things about using NordVPN on Firestick devices is that you receive unmatched capability for streaming at fast speeds while receiving the ability to unblock geo-restricted VoD websites around the world. We tested the service to unblock the US Netflix using nordvpn netflix service, and it worked smooth as hell! The hack we were talking about earlier for getting NordVPN on Firestick involves downloading the .apk file. 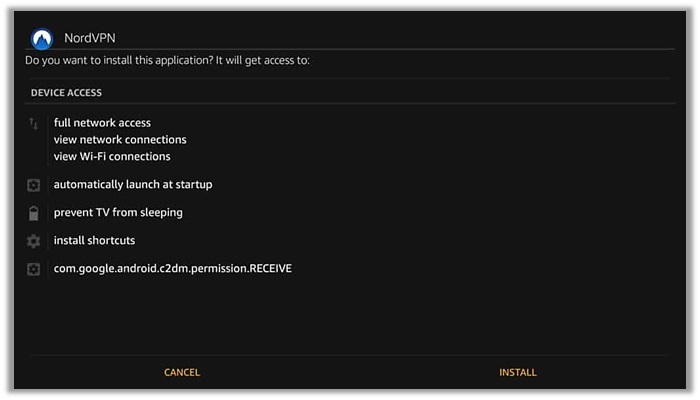 There are some third-party software available on Firestick, which allows for the loading/installing of Android applications, hence making it easier for you to leverage good security and anonymity online. Here is a direct download link to the Android .apk NordVPN file. 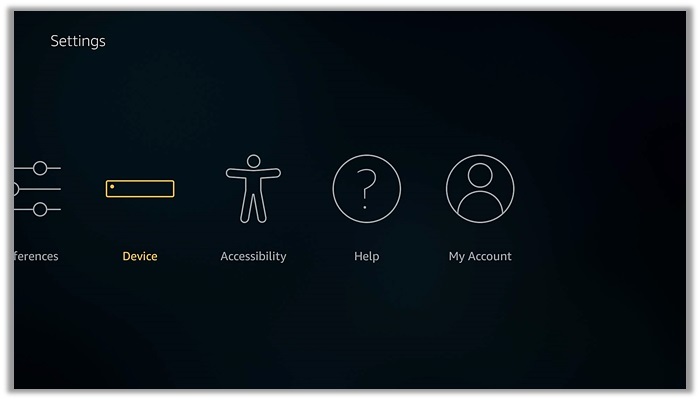 Launch Amazon Fire Stick and click on “Settings” from the home screen. 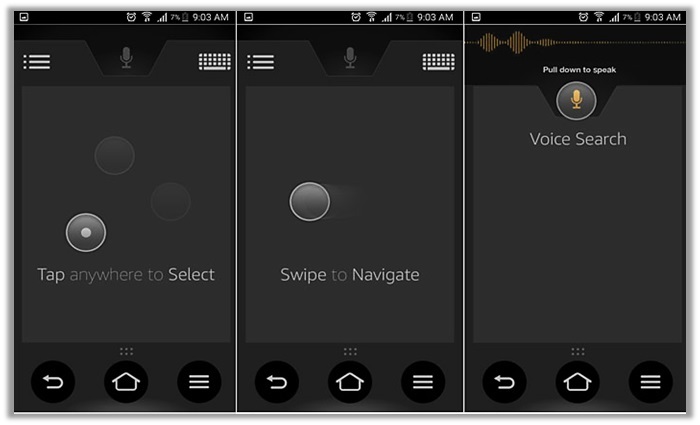 Go towards the right and find the “Device” option. Scroll down to “Developer Options”. 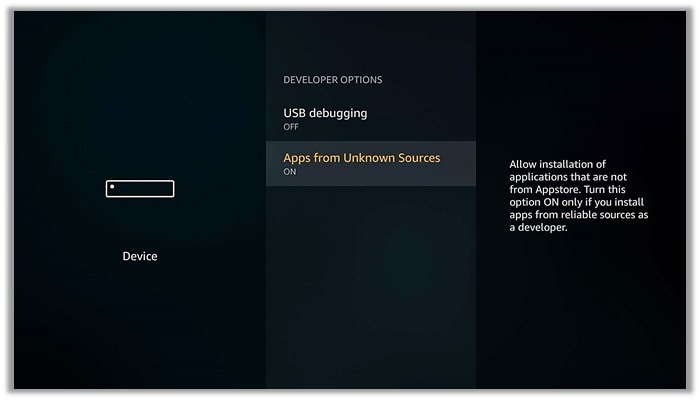 Enable “Apps from Unknown Sources”. A popup message will appear. Select the “Turn On” option. Locate “Downloader” in Search, hit the “Get” button, and open the app. Select “Browser” and type in the download URL: https://nordvpn.com/download/android/. Select the “Download APK” option and hit the “Install” button. Wait for the installation to complete. Launch the application and enjoy using NordVPN on Firestick! 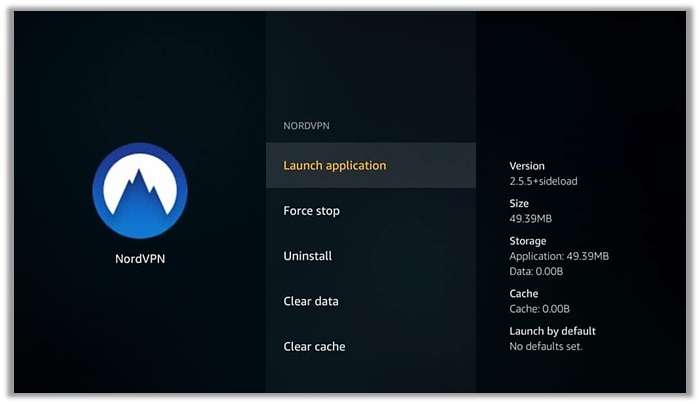 Since the NordVPN version you install on Firestick is based on the Android OS interface, some devices may give trouble when navigating or trying to control the app. 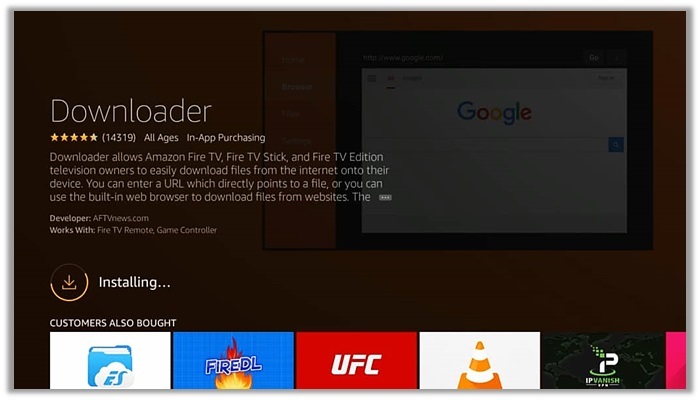 To get around this, you can download and install the Remote for Fire TV application, which is available on the Amazon Store. As another alternative, you can also consider trying out CetusPlay! In circumstances, where you have to learn more about a particular product/service or need assistance to perform a specific task, there is no better option than consulting the experts at Reddit. With individuals working in various industries, you can always expect to find information about all topics, including NordVPN Fire TV. Below you can see a Redditor facing trouble selecting a server, which seems to be a navigation problem. 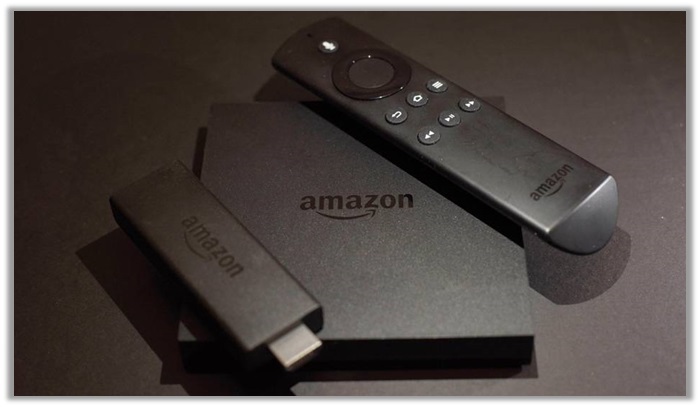 We have already given a solution above of using the Amazon Fire TV remote. When using NordVPN on Firestick you may come across different issues/errors, which may require troubleshooting. In light of this, we have listed some FAQs, based on user-curiosity. 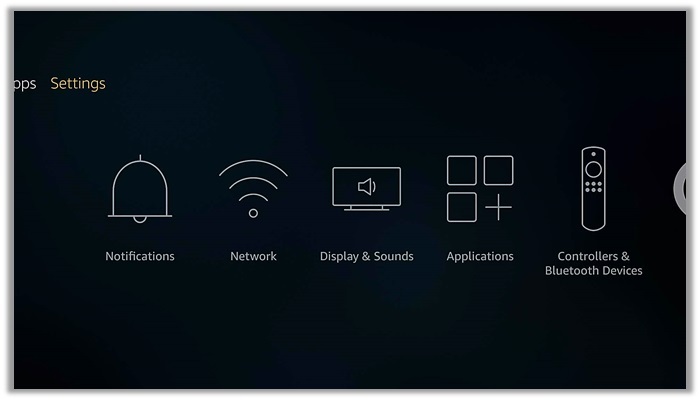 What OS is the Fire Stick? 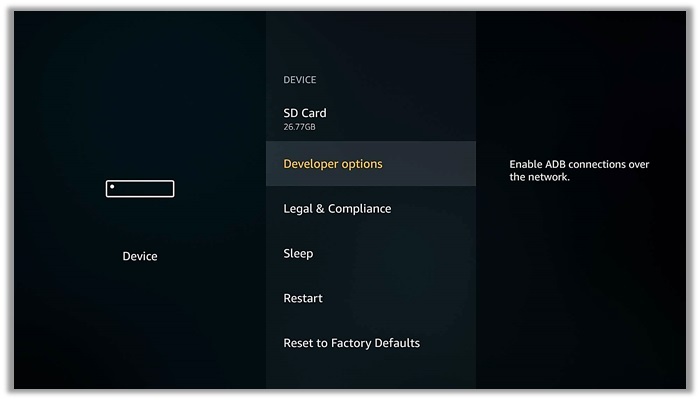 The Firestick and Fire TV devices use their own personalized version of the Android OS. It goes by the name of “Fire OS” offering a good overall interface, which promotes intuitiveness and ease-of-use, regardless of which TV you use it on. 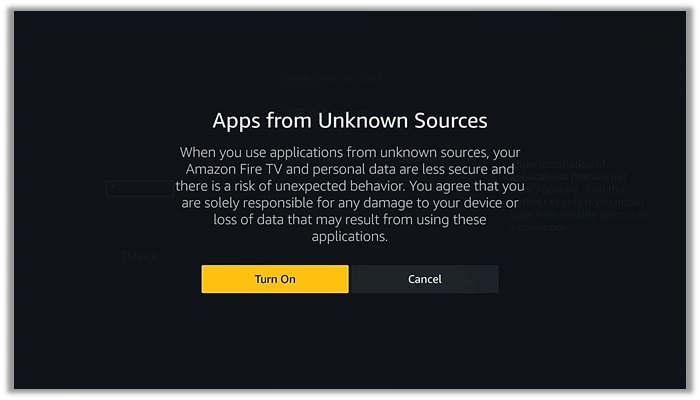 Can you use a VPN on Amazon Fire Stick? Yes, you can most definitely use a VPN on Amazon Fire Stick devices for unblocking websites and even streaming pirated content, if needed. The only problem is that not many providers offer a dedicated Firestick application as of yet, apart from ExpressVPN and IPVanish. 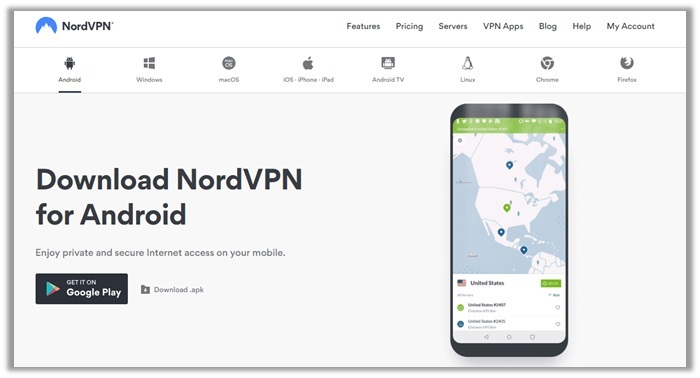 How do I Download NordVPN on Firestick? 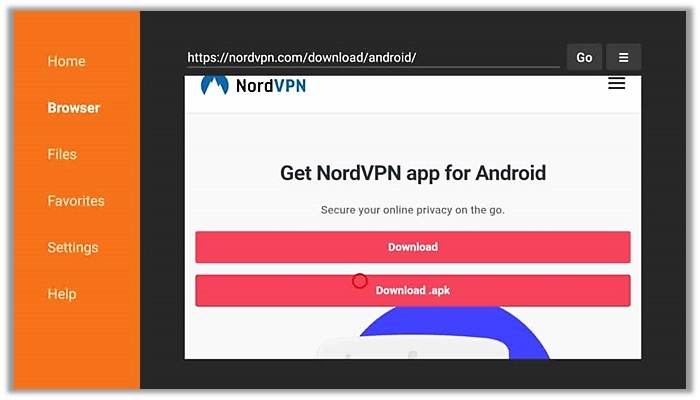 If you want to download NordVPN on Fire TV, you will have to get the .apk file from the main website or by visiting Google Play Store. The Firestick device uses the Fire OS, which is based on the Android OS, hence it does offer some support for third-party .apk apps.